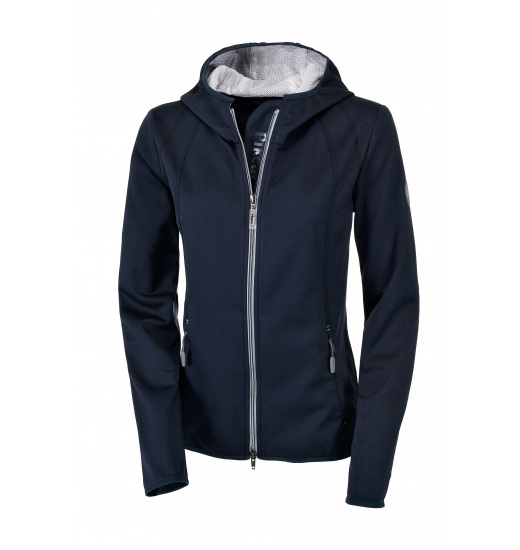 Very impressive ladies' sweat jacket made of smooth material - 100% polyester. 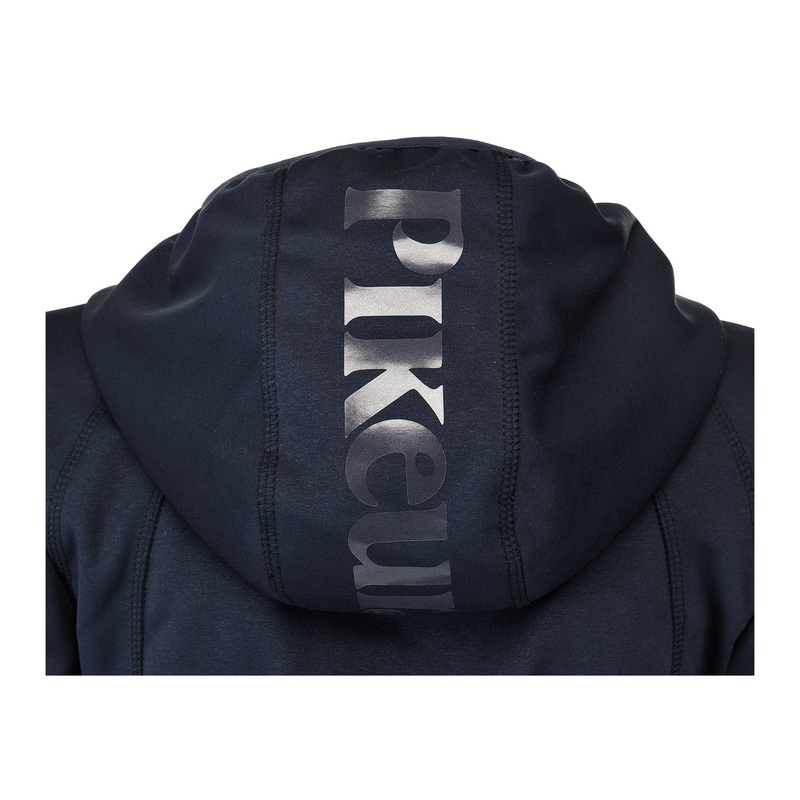 It has a hood with a silver Pikeur writing, and which is lined with mesh. 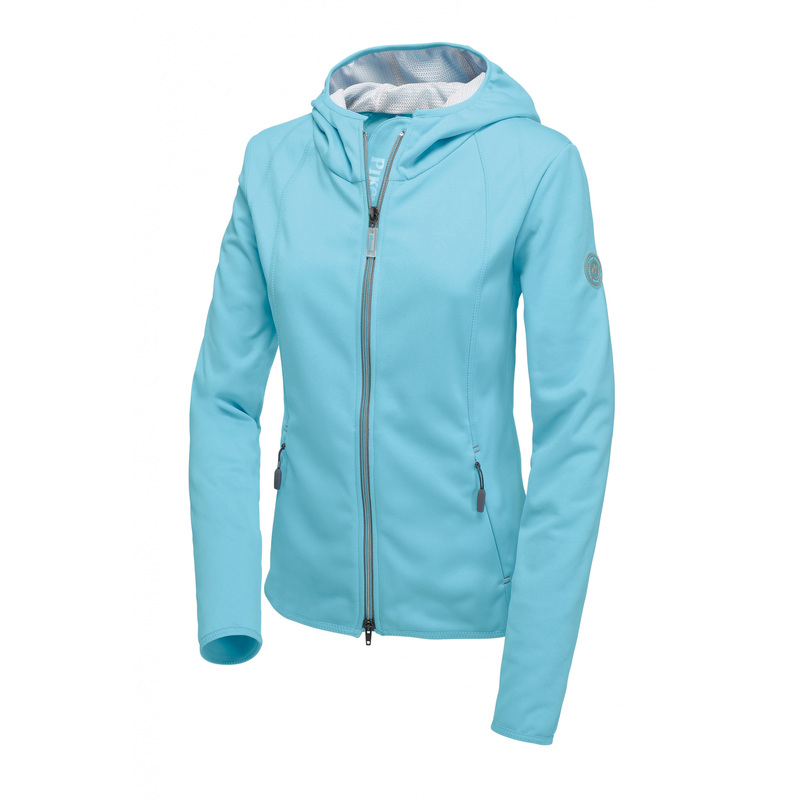 The jacket is comfortable and breathable. 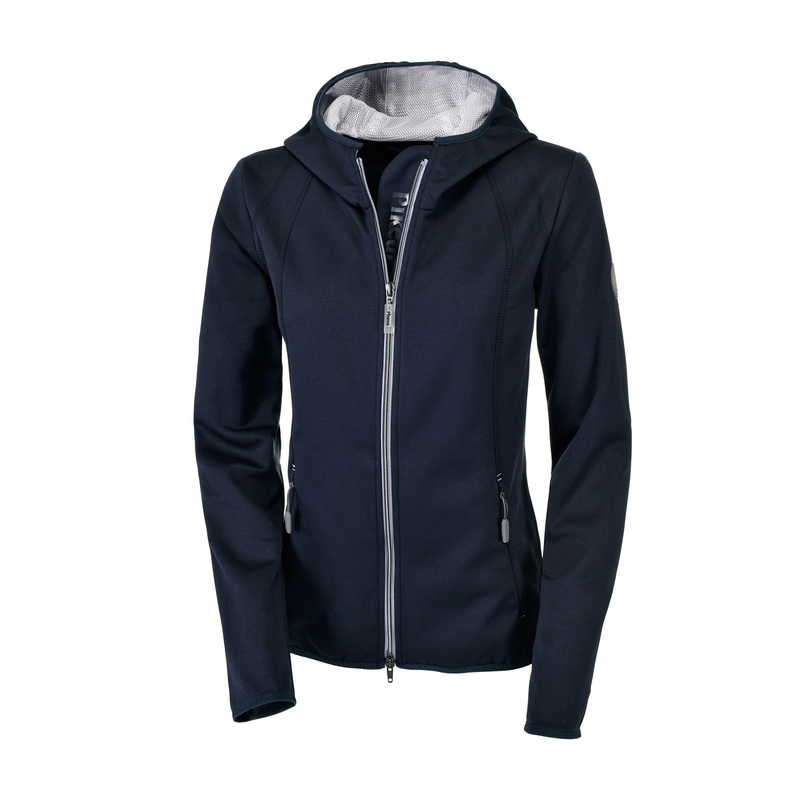 Its sporty cut nicely fits to the body. The main zip can be fastened both ways. There are two covered, zippered pockets on the front. It is decorated with a silicone emblem on the left shoulder.